Hello, dear readers. I'm back with a great mystery box of sparkly good stuff. 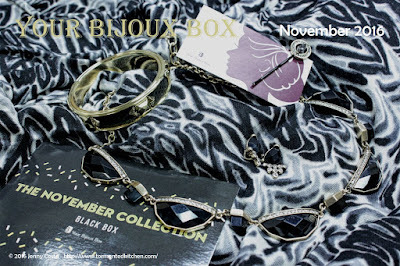 Welcome to the Black Box! 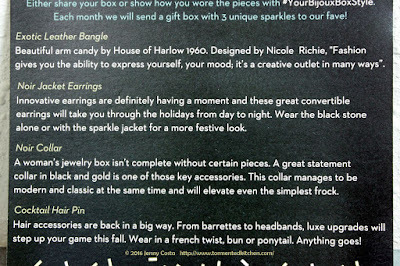 Well, Your Bijoux Box is still sending their cute little Tiffany-blue boxes in the mail, but this month they have a theme. It's black and classy. Let's check out the product card. 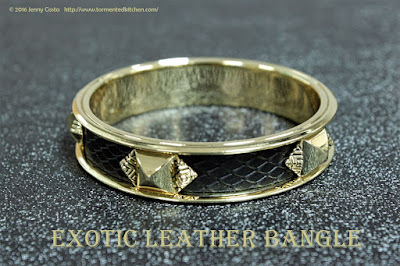 First, the Exotic Leather Bangle by House of Harlow, Nicole Richie's jewelry brand. This is amazing! What a great piece to layer with other bracelets for some serious arm candy. 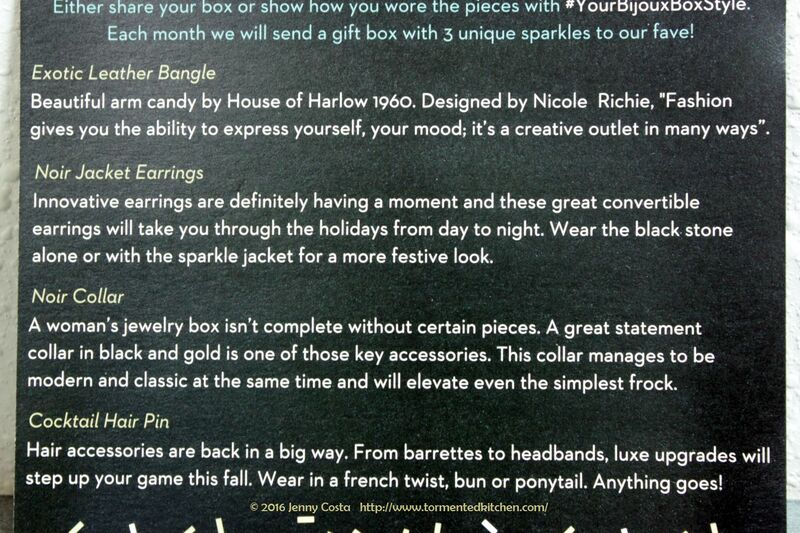 Second, the Noir Jacket earrings. 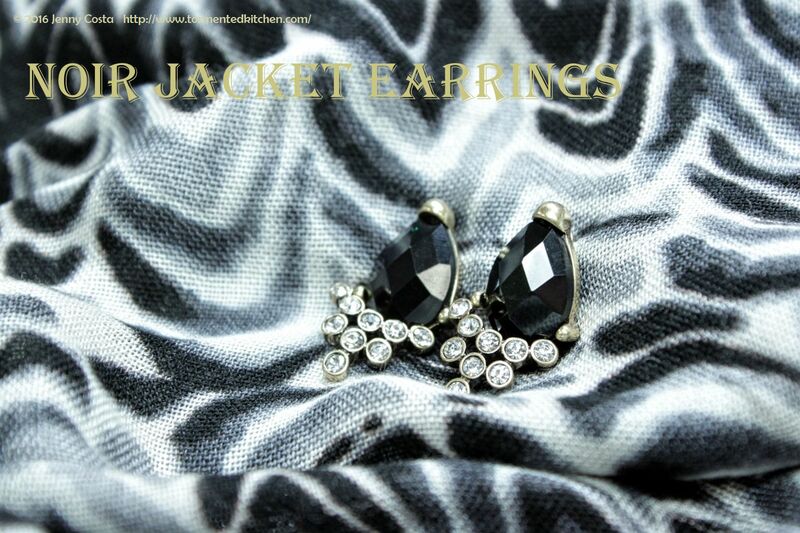 Jacket earring have been quite the rage lately. These black faceted crystals are great alone. The jacket really dials up the glam, though. 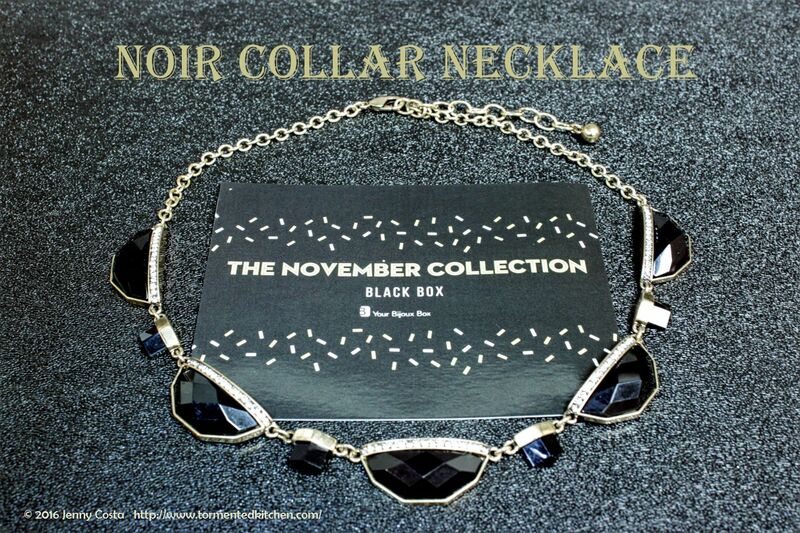 Third, we have the Noir Collar Necklace. Wow! 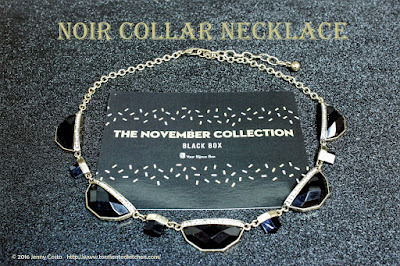 Black faceted crystals and brassy golden chain are great together. And lastly, a bonus piece, the Cocktail hair pin. It's so small and cute. 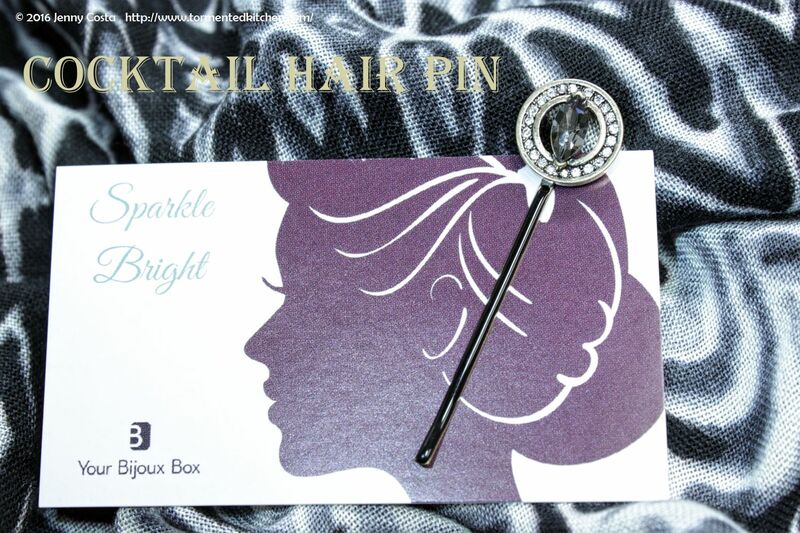 This is a nice way to add something special to your hair. If you can't tell, I'm loving this box. Thanks for stopping by!